Mr. Nagy El Khoury is the Director of International Relations at Notre-Dame de Jamhour College and the General Secretary of the school’s Alumni Association. 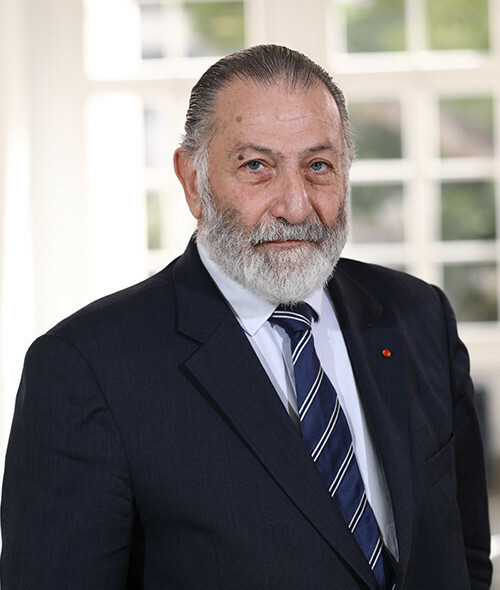 Mr. El Khoury is also President of the Lebanese Federation of Alumni associations of Catholic Schools, and Vice President of the World Organization of the Alumni of Catholic Education. Nagy has always been a leading socio-cultural animator. He published Des Tasûts Et Des Hopes, a collection that brings together his best articles published in the press and on Facebook. Nagy has been responsible for organizing numerous public, national events in Lebanon. Significantly, he was responsible for the ceremonies of the Feast of the Annunciation, which led to the creation of a Muslim-Christian Lebanese national holiday on March 25. He received the International Prize Sergio Viera de Mello for promoting cultural dialogue at a ceremony in Krakow, Poland and the Vatican awarded him the Medal of the Order of Saint Gregory the Great. Nagy is a jurist by training and has previously served as the adviser to the Minister of Culture. He holds a Law and Political Science Degree from St. Joseph University.